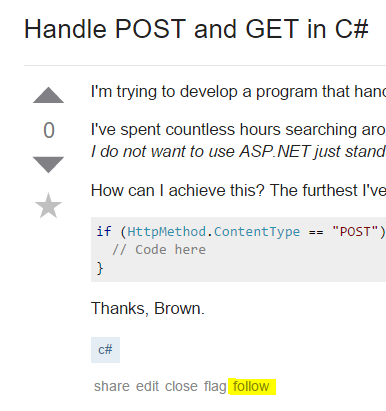 When an interesting question is asked on Stack Overflow, I would like the option to follow any answers via notification whenever there are new answers and/or comments. Marking a question as a favorite is different than "following", and does not notify about new answers and comments. Is there any possibility that Stack Overflow could implement this? At the bottom of every question is a link to the question feed. You can utilize this, and a feed parser of your choice, to follow any questions you wish. Not the answer you're looking for? Browse other questions tagged discussion feature-request questions notifications . How to watch a question?